Dave Aitken - David graduated from Bethel Park High in 1966. Following graduation he attended Beaver County Community College. Mr. Aitken is very involved in a variety of community activities and server on the Board of Directors of the following organizations: National Alliance of the Mentally Ill, Beaver County Consumer / Family Satisfaction Team, and Greentree Historical Society. David is also a trained speaker for mental health issues. David is a retired employee from Penn Central / Conrail Railroad and from 1968 thru 1996 served as a yardmaster for the railroad. You can all get in touch with David Aitken by calling Seniors For Safe Driving @ 800-559-4880. Mr. Aitken currently lives in Hookstown, PA. He can be reached by email through Seniors For Safe Driving. 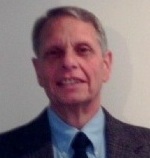 Richard D'Arcangelo - Richard has a varied business background starting in 1960 through 2005. Mr. D'Arcangelo has worked with the following companies: A & P Tea Company, General Telephone, Baskin-Robbins Ice Cream Company, Tridea Electronics, and Lacey's / King Arthur's Pizza. Most of his professional career has been devoted to supervision and management. Mr. D'Arcangelo has an Associate of Arts Degree in Business Administration from Pasadena City College. He is a graduate of the American Automobile Association's Highway Safety Education Instructor Certification School in Fairfax, Virginia. In 1978 Richard went into business for himself where he owned and operated Lacey's / King Arthur Pizza franchise. After 10 successful years in the pizza business, Richard felt it was time to semi-retire, and sold the business. Mr. D'Arcangelo is very active in his community where he serves on the Board of Directors for Habitat and Humanity of Mercer County, serves as an instructor for the Shenango Valley YMCA, and is a Boy Scout School Career Speaker. He is still active as a National Junior Tennis League Instructor and is a Pasadena Rose Parade Assiciation Member. Seniors For Safe Driving is very fortunate to have Richard as a certified instructor. He teaches classes up and down Interstate 79 from the Mercer area to Erie, Pennsylvania. In 2004 Richard reached over 5000 seniors while teaching Seniors For Safe Driving classes. Mr. D'Arcangelo currently lives in Hermitage, PA. He can be reached by email through Seniors For Safe Driving. Don Kobak - Seniors For Safe Driving is proud to introduce Donald Kobak at the latest addition to our list certified instructors. Mr. Kobak has a wealth of experience in teaching highway safety education programs for seniors. Currently, Don is working as the manager of the Blair Senior Center. His personality, educational background , and work experience make him an outstanding candidate to present programs for Seniors For Safe Driving. Mr. Kobak attended Shippensburg State College. Don served in the United States Army as a military specialist from 1962 through 1965. Don is a resident of Altoona, Pennsylvania and will be presenting programs in the Altoona area and surrounding counties. Mr. Kobak will be presenting programs at Epworth Manor in Tyrone, PA and the Altoona Health Care Center in Altoona, PA.
PK Little - Mr. Little is a retired school teacher who primarily taught Biology at West Middlesex HS. Mr. Little earned his Bachelor of Science degree in Biology at Penn State University. His science teaching certification also came from Penn State and his Driver's Education certification came from Slippery Rock University. Mr. Little taught In-the-Car driving for seven years at Lakeview HS, for threeyears at West Middlesex HS and 1 year at the Community College of Alleghany County. In all, he has logged some 5000 hours of accident free driving with teenage drivers. A former truck driver and avid motorcyclist, Mr. Little believes that the art of defensive driving is a science of do's and don'ts that can greatly reduce the odds of being involved in an accident. He is eager to impart his experience and knowledge of driving to anyone who is willing to listen and considers it a privelege to be able to help mitigate the dangers of driving a car. A veteran of th US Army, Mr. Little served in Vietnam in a dog training detachment where he helped take care of some 200 German Shephards. His hobbies are traveling ( he has traveled extensivly in Europe and Asia), long distance running ( he has completed four marathons and numerous half marathons; all over the age of 50) and experiencing the great outdoors by going motorcycle-camping. Mr. Little is also a musician who plays harmonica and sings in a band called Makin' Changes. He has three daughters and three grand daughters and stays in touch with the younger generation by substitute teaching at Sharon HS. He is looking forward to meeting you. Larry Nunamaker - I am a lifetime resident of Armstrong County, Pennsylvania. Husband, father of six children and grandfather of nine. I like traveling and spending time with my wonderful bride and grandchildren. I ride motorcycle, love boating, fishing and camping. I graduated from Ford City High School, Ford City, PA and worked thirty and a half years for Allegheny Ludlum Steel Mill where I drove truck and operated various steel making machines. Since I retired, I have driven motor coach, school bus and was a Certified School Bus Instructor for a local busing garage. I was ordained into the ministry in 2002 and enjoy preaching and talking with people. Leo (Bucky) Parisi - Leo started Seniors For Safe Driving in May of 1993 with a working agreement with the American Automobile Association. July 1, 2004 Seniors For Safe Driving received statewide certification from the Pennsylvania Department of Transportation and is now one of four organizations certified to present highway safety programs throughout the entire state of Pennsylvania. Leo is a graduate of Ridgway High School and attended Indiana University of Pennsylvania (IUP) where he received a B.S. Degree in Education in 1962. He earned a Masters Degree from IUP in 1964. Mr. Parisi has participated in three American Automobile Association highway safety instructor certification schools. Mr. Parisi's work experience includes professional baseball with the Los Angeles Dodgers organization from 1959-1965. From 1965 to 1972, He started the first Driver Education Program for the East Allegheny School District where he taught and coached basketball and baseball. From 1973 to 1981, Leo accepted a similar position with the Butler Area School District in Butler, PA. In 1973 Mr. Parisi opened a restaurant in Butler, PA where he expanded the restaurant business to include operations in Titusville and Indiana, Pennsylvania. Also included in his restaurant operation was a seafood restaurant in Hyannis, Massachusetts. Upon his retirement in 1994 he started a new company, Seniors For Safe Driving, which is conducting well over 400 instructional classes a year in Western Pennsylvania. Starting in 2006 Seniors For Safe Driving is expanding its operation to include classes in Eastern Pennsylvania. 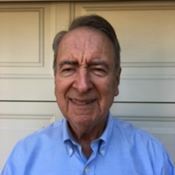 Robert (Bob) Wehrle - Bob graduated from South Hills Catholic High School in 1966. Following graduation he attended classes at Point Park University. He retired in 2008 after a 42 year career in the railroad industry. Bob was a transportation official with the Pittsburgh & Lake Erie Railroad, Three Rivers Railway, and CSX Transportation. Since retirement Bob completed a course to become an income tax preparer, and recently has received his appointment as a Pennsylvania Notary Public. Thomas Zidow - Tom graduated from the University of Pittsburgh School of Engineering with honors, and spent his early career as a faculty member of the Electrical Engineering Department at Pitt. Moving on to industry he spent the next segment of his career in technical and managerial fields ranging from nuclear waste disposal, defense infrastructure services and and international threat reduction. Tom retired in 2015 as a senior vice president and corporate officer of a publicly traded US corporation after 45 years of successful domestic and international business development and executive management of both commercial and government programs. Tom can be reached by email through Seniors for Safe Driving.